A couple’s wedding day is once in a lifetime. Not only will the memories stay with you forever, it’s also a way for a couple to show their uniqueness as husband and wife-to-be. This is exactly why selecting a wedding venue is one of the most crucial decisions you’ll make if you’re about to tie the knot. From the personality of the venue to the character its interior brings, every little detail is important and could make the difference between the wedding of your dreams and a subpar celebration. If you’re thinking of a destination wedding in Indiana or are a local who simply isn’t sure where to start looking, here is a small collection of the many local options available for couples looking for the perfect wedding venue. 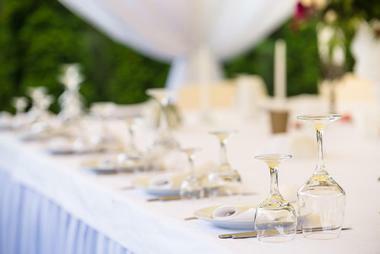 There’s nothing small about the Avalon Manor Banquet Center. This elegant establishment has 30,000 square feet of event space, making it the largest freestanding banquet center in all of northwest Indiana. In addition to the sophisticated and elegant banquet hall, Avalon Manor features gorgeous gardens and grounds in the outdoor area, complete with a shimmering pond, stunning fountain, and intimate gazebos. Of course, a gorgeous venue is nothing without experienced and helpful staff, and Avalon Manor has this in spades. With over a quarter century’s worth of experience, brides and grooms can look forward to hassle-free planning and coordination with the Avalon Manor Banquet Center. Luxurious is an apt way to describe the Bel Air. Opening in 2014, the Bel Air is one of Central Indiana’s newest and most stylish event centers and is ideal for couples who want a modern and opulently styled wedding. In addition to the fantastic setting, the Bel Air’s culinary expertise is beyond reproach and their highly trained service staff helps minimize stress on the big day itself. This commitment to exemplary service and the timeless beauty of Bel Air’s venue are perfect ingredients to the wedding of a lifetime. The Bel Air also offers full-service catering, backdrops, linen and chair cover options, bar options, bridal suites, and even accent lighting. If you’re looking for a massive venue that will offer you everything you could possibly need in one area, you might want to give Black Iris Estate a visit. The estate sits on over 13 acres of land and encompasses a mansion, sprawling gardens as well as a wooded area for an intimate and magical ceremony. Undoubtedly, there are few other wedding venues that can compare to this, and Black Iris Estate is in a league of its own within the city of Carmel. The staff of Black Iris Estate promises to be with their clients from beginning to end to ensure that your wedding planning is a positive experience. From innovative and creative designs to a quality menu made from scratch, Black Iris promises not only to deliver, they’ll also pamper you and your guests all throughout at as well. On the hunt for an exclusive and unique wedding venue with enchanting grounds and natural beauty to boot? Say hello to Blueberry Hill Estate. Located in the southern Indiana city of Paoli, Blueberry Hill Estate offers its clients a premier wedding venue punctuated with manicured gardens and varying romantic settings to hold the ceremony. For example, couples can pick to have their wedding within the estate or opt to say “I do” on a hill top for some dramatic flair and to-die-for photographs. Blueberry Hill Estate can comfortably handle a wedding party with up to 500 guests and offers overnight accommodations in addition to wedding ceremony and reception services. The possibilities are endless for your dream wedding when it comes to the Blue Falls Arts and Events Center. Specializing in weddings that exude rustic elegance, Blue Falls is distinctly different and promises to help you put together a wedding of perfect moments. 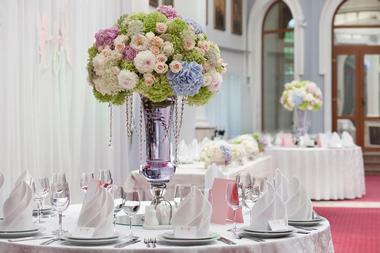 The venue is all-inclusive, which means that their prices include the venue and event catering together. Blue Falls’ venue is absolutely breathtaking, and their catering services are backed by some of the industry’s leading culinarians. Not only that, but the team at Blue Falls is as committed to you as you and your partner are to each other. 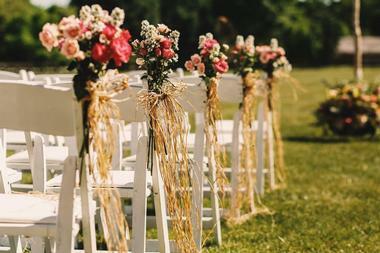 Who doesn’t love a gorgeous outdoor wedding? At Brown Country Indiana Weddings, they take it a step further by allowing you to make nature your wedding chapel. Nature lovers can invite the peace and beauty of a forest into their wedding by having their ceremony in the middle of it. The amazing ambience, especially during sunrise or sunset, sets the perfect mood to say your “I dos” and commit to your beloved for the rest of your lives. Meanwhile, the limestone wedding amphitheater is where the actual ceremony will take place, and it will provide you and your wedding party with the perfect backdrop for all the photos you could ever want to take. 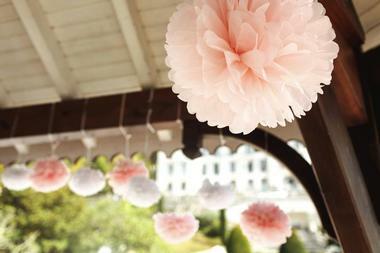 Look forward to an equally stunning reception with the venue’s many outdoor amenities. Industrial meets rustic-chic at Canal 337. 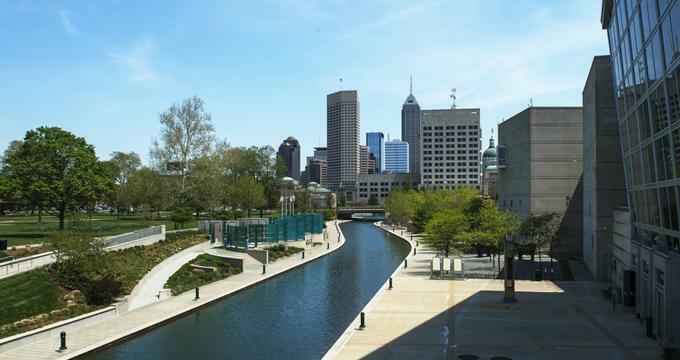 Located in downtown Indianapolis, Canal 337 offers two unique floors, both with a fantastic view of Indianapolis’ skyline and outdoor space to enjoy. Aside from the lovely blend of industrial and rustic themes, Canal 337 is also an historic location in the city and the venue shows that through its large wooden and thick castle-esque doors. Worried about catering? Don’t sweat it. Canal 337 joins forces with Thomas Caterers of Distinction with their 30 years of event experience. Your reception will be just as marvelous, with the venue’s cathedral ceilings, wooden beams, and stained-glass windows. 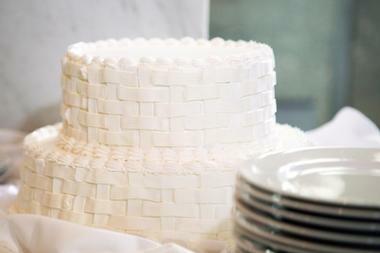 You’re in for a world of style, regality, and opulence when you have your wedding at the Conrad Indianapolis. Oozing luxury and impeccable class, the Conrad promises a team of wedding specialists, culinary experts, and professional banquet staff to make your wedding the one of your dreams. From the rehearsal dinner to the post-wedding brunch, the Conrad’s staff will take care of the planning and execution so that all you have to do is make the big decisions. Other exclusive features that come with a wedding at the Conrad include the use of the Vienna Ballroom or the seven-story glass-enclosed Artsgarden, on-site ceremony, cocktail and reception, a two-tiered wedding cake, gold Chiavari chairs, an oak dance floor, exclusive photo opportunities, and even an on-site salon and spa package. You might not think of a museum as your first choice of venue for a wedding, but for art and culture lovers, the Eiteljorg Museum is an absolute dream. A unique indoor and outdoor space, the museum can accommodate up to 300 guests. All of your wedding guests will be treated to a world-class collection of art in addition to breathtaking views of the Indianapolis skyline and downtown canal. Now, there’s no denying that food is a huge part of any wedding, and the Eiteljorg Museum delivers with spectacular cuisine care of Kahn’s Catering. Worried about nearby accommodations for out of town guests? 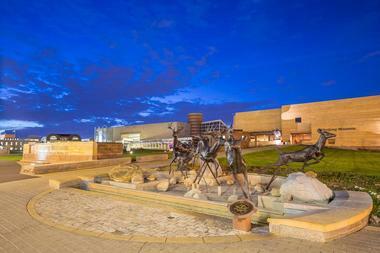 The museum is just a short walk away from several big hotels in the area. Your wedding is one of the most special occasions in your life, and the Gillespie Conference and Special Event Center understands this completely. 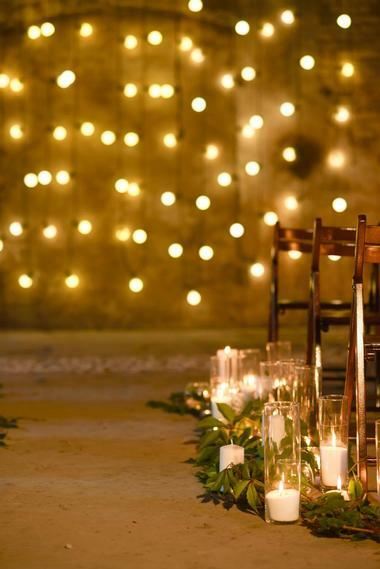 Designed to handle any kind of event and absolutely dedicated to every event that passes through their space, Gillespie’s staff of professionals will work with you to execute the wedding of your dreams. Choose between options like the Fleur de Lis Ballroom, the Leman’s Room, the garden, or the patio to suit the size of your wedding party or the ambience that you want for your special day. 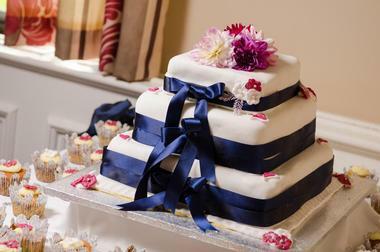 Whatever you decide, we’re sure that a wedding at Gillespie Conference and Special Events will be memorable indeed. 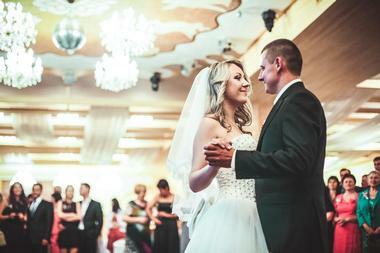 Fun, history, and absolute elegance all collide at Indianapolis’ premier event venue, the Indiana Roof Ballroom. Spacious and flexible, the Indiana Roof Ballroom is great for wedding parties of various sizes between 50 and 1,500 guests. 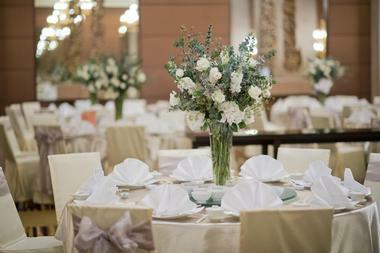 Not only that, but the Indiana Roof Ballroom has a sterling reputation for the best of fine dining, its stand-out service, and for cultivating a romantic atmosphere that has been intact for over 75 years. The ballroom’s team is also eager to help you decide on the style or trend you want for your big day if you haven’t quite figured that out yet. 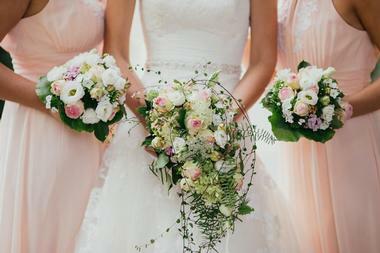 If you’re ready to plan the wedding of your dreams, so are they! There is something inexplicably gorgeous and memorable about getting married on farmland, but there’s something even more magical about a wedding in the 15 acres of the JHL Wedding Barn. 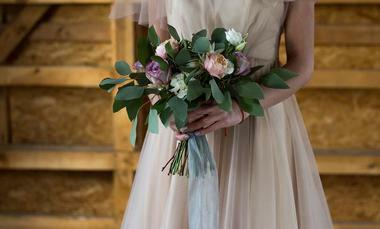 The barn, which is located in Jamestown, offers three different wedding venues to choose from with upgrades on wedding packages like a private bridal suite, a full-service bar, an outdoor patio for cocktail tables, and even a DJ space. The prime wedding venue is, undoubtedly, their 6,000-square-foot barn, which can seat more than 300 people. Equally beautiful is the outdoor ceremony space, which has a fire pit, an outdoor patio with cocktail tables, corn holes, and even a playground area for children to run around and play. If you’re on the hunt for the ultimate rustic wedding barn venue, why not stop by to explore Lakeside Occasions? 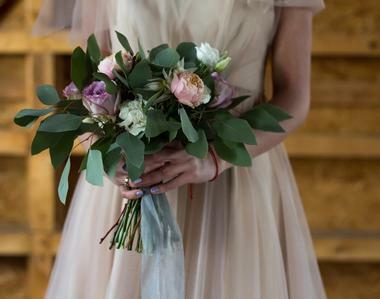 Located right by a peaceful lake in the center of northern Indiana’s Amish Country, Lakeside Occasions promises elegance and tranquility for your dream wedding. Couples can say their vows in front of their nearest and dearest while standing under a beautiful gazebo with stunning Emma Lake as their backdrop. It doesn’t even matter what style you’re going for, because the barn is capable of going from country-chic to formal elegance with the help of the staff’s watchful eye and attention to style. Got a date in mind? Go ahead and give them a ring. With a dedicated team of specialists and event planners, the Mavris Arts and Event Center marries a timeless atmosphere with the historical flair of the South East Street building. Today, the Mavris Arts and Event Center has over 40 years of combined event planning experience, and they are more than capable of delivering everything you ever wanted for your wedding and more. 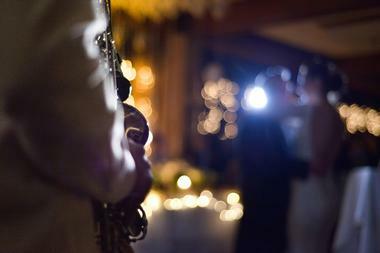 The center has two venue options for you to choose from, depending on your needs and the size of your wedding party. The main space is perfect for larger wedding parties while the speakeasy is great for smaller wedding parties with a cocktail reception. Other services to look forward to at the center include exclusive culinary services, lighting and audiovisual design, in-house equipment, and more. There’s definitely something memorial about the Memorial Opera House. 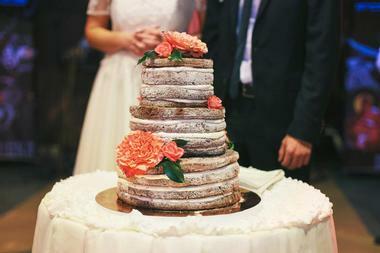 At 125 years old, the it adds historicity and unforgettable culture to any wedding. What better way is there to start your journey as husband and wife than by walking down the center aisle of the opera house and up onto its iconic stage. The auditorium can accommodate 352 guests, and rental of the venue includes use of the first-floor auditorium, balcony level seating, the lobby, box office, restrooms as well as 2 dressing rooms, the prop room, and the make-up room. You can even rent the East Lobby and upstairs lounge upon request! 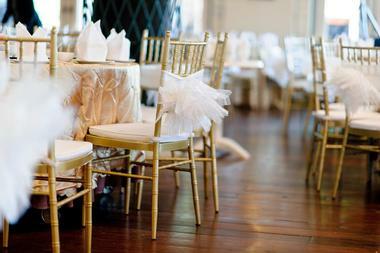 City-chic meets antique-unique at the Mill Top Banquet and Conference Center. Situated in the gorgeous city of Noblesville, the center is a historic wedding venue that’s just a few blocks away from the downtown area. Made almost entirely of brick and timber, this urban-chic events venue brings Old World elegance and modern decoration to any wedding. There are ten equally unique spaces to choose from at the center, each of which is capable of handling up to 400 guests. Additional amenities include customizable chandeliers, LED lighting, stone-topped bars, a bridal suite, engagement party and bridal shower celebrations, and more. First established in 1926, the Marott is a residential hotel that oozes the charm and elegance of the past. The hotel is truly a one-of-a-kind venue with several rooms to choose from. For example, the Crystal Room is the most popular at the Marott and works for both a sit-down dinner reception or a cocktail reception. Another option is the Atrium Courtyard, which features a beautiful glass ceiling and pond along with detailed décor and arched side walls. Other options include the Grand Ballroom, the largest space at the Marott, and the Meridian Room, which is fantastic for smaller wedding parties. 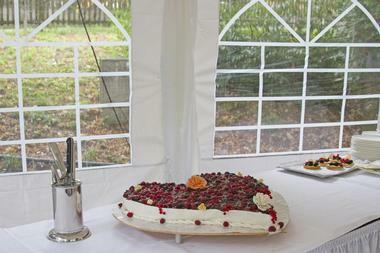 No matter what venue, you can bank on delicious and memorable food, care of their in-house caterers, Pipers. At the Rawhide Ranch, they believe that the campfire helps you see things in a different light, and we can’t help but agree that it’s true. Weddings at the ranch are special and memorable, to say the least, as they deliver a distinct taste of the Old West for every wedding held there. Guests can stay at The Buck Inn, a two-story guest barn, or at nightly vacation cabins up on the hill. The ceremony and reception will be a great means to create long-lasting memories as there’s no better way to bring two families together than with a getaway at a magical ranch over a weekend. 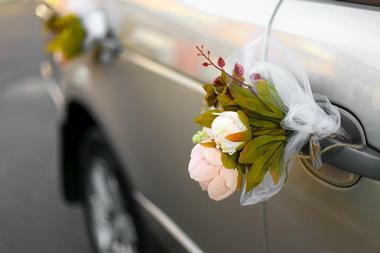 Weddings don’t have to be a nightmare of an event to plan when you let Ritz Charles be your guide. Established in 1985, the Ritz Charles provides its clients with upscale and innovative services alongside superior event planning. Whether you’re looking for the perfect place to have your ceremony within the Ritz or can’t decide on which decoration elements and styles you want, the Ritz Charles’ event specialists will guide you through all of it. The Ritz Charles has eight beautiful locations to choose from for your reception and ceremony. The Lindley Farmstead, Ritz Charles Garden Pavilion, and Ritz Charles Chapel are just a few places to consider for starters. 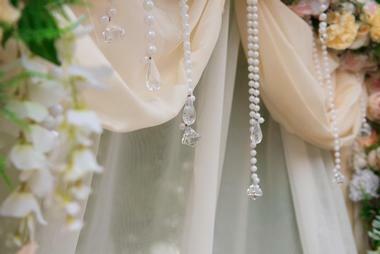 Do you already have a vision of what your dream wedding will look like? At Stone Creek Lodge, you can take your vision and bring it to life because the lodge is in the business of turning your dreams into a reality. The landscape at the lodge is unlike any other as there is spectacular scenery to enjoy at every turn. The venue also has a full liquor license, so you and your guests can enjoy a wide variety of drinks to celebrate this once-in-a-lifetime occasion. Whether you’re a fan of the lodge style or just want to enjoy all the sights and sounds that nature has to offer on your special day, Stone Creek Lodge will deliver. A popular venue for elegant weddings in Bloomington, Indiana, Sycamore Farm channels all of the state’s charm into stylish and classy barn weddings. 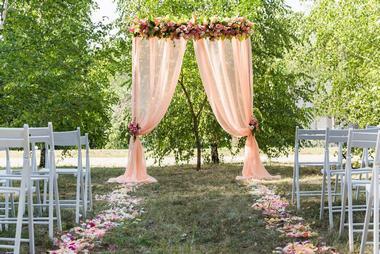 Imagine being wed in the midst of rolling hills with sweeping meadows all around. Another fantastic thing to look forward to at Sycamore Farm is incredible service. As a family-owned and operated space, the team behind the farm puts a lot of care into each of the events that comes through their space. Don’t take our word for it! The Sycamore Farm has won Wedding Wire’s Couple’s Choice Awards three years in a row starting 2015. Looking for a unique venue at affordable prices? 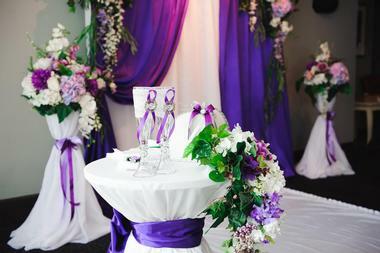 Look no further than the Allure Wedding Venue and Event Center. Just imagine a lavishly decorated banquet hall where your most precious memories are crafted into reality. That’s exactly what you have to look forward to at Allure. At Allure, the simple mission is to provide service so high in quality that all other venues absolutely pale in comparison. 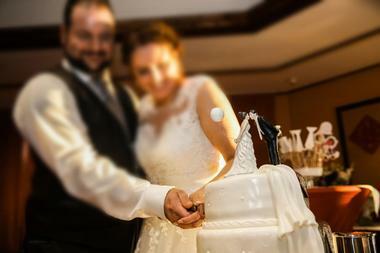 With integrity and honesty, they help you plan your dream wedding to your precise specifications. 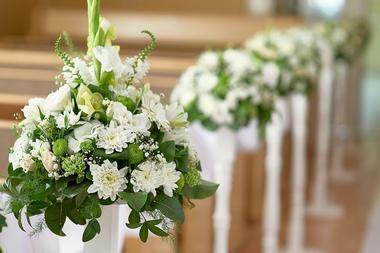 You can also ask for an initial consultation to make sure that their venue is the perfect one for you. Operating since 1835, the Homestead is one of the most well-known and well-loved wedding venues in the state of Indiana. The Homestead features the best of rustic charm and elegance while providing all the amenities that many have come to expect of premier venues and accommodations. At the end of the day, the Homestead is much more than just a wedding venue. The historic barn and spacious grounds offer visitors and guests a much-needed respite from the busy pace of the city. Trust us, your memories from this venue will last with you long after you say, “I do” and far beyond the tossing of the bouquet. Has it always been your dream to get married in a historic church? If yes, then Indiana’s Sanctuary of Penn is the perfect place to consider for the perfect wedding. Equipped to host both your wedding ceremony and the reception, the Sanctuary of Penn desires to give every couple that walks through their doors everything that they desire. 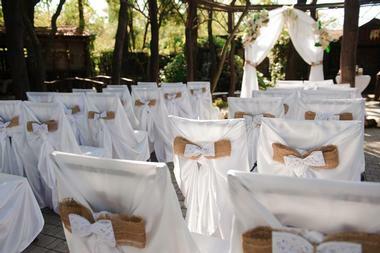 In terms of your wedding ceremony, the Sanctuary has a traditional and ornate exterior. Meanwhile, the inside of the sanctuary is designed to look like the ruins of an ancient Roman building. Truly, the space is absolutely unique and the team behind the Sanctuary of Penn wants to make sure that your taste, your wishes, your family, and your beliefs are honored throughout. Located in Michigan City, the Uptown Center is one of Indiana’s premier wedding venues and is capable of hosting both your wedding ceremony and wedding reception. Featuring an 1867 ballroom that has been beautifully and lovingly restored, the Uptown Center has enough space for up to 300 guests. 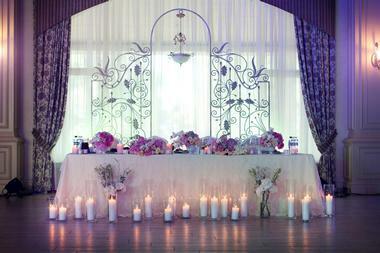 In fact, so spacious is this center that it even has ample space to set up a dance floor along with a head table. Other amenities of the Uptown Center include a full-service lounge, two amazing courtyards, and three bridal suites. The best part of it all is that the Uptown Center can actually customize several packages for their clients to give them the best experience possible.